Looking for a place to grind in Kona? 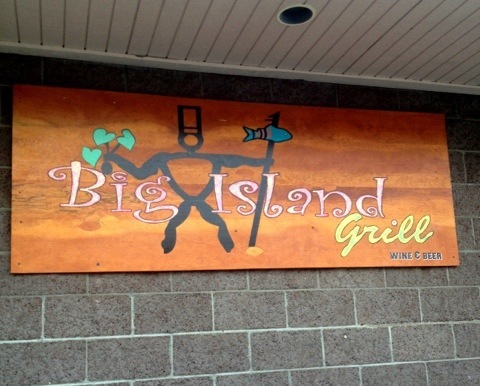 Skip the resorts and anywhere on Ali’i drive and head one street up to Big Island Grill. 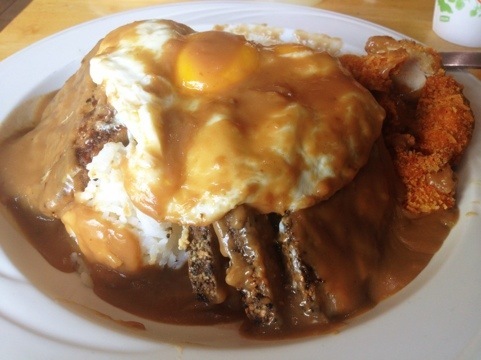 You won’t find a loco moco like this anywhere nearby. 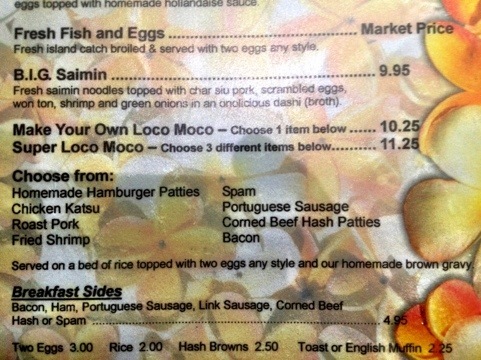 We got a super loco ($11.25). Choose 3 types of meat. “Ok coming! My son loaded ‘um up.”, our waitress said with a smile. The family atmosphere in here really warmed up the place. Crispy chicken katsu, juicy tender roast pork, and a nicely grilled homemade burger patty topped with 2 eggs and thick tasty gravy. I don’t think I’ve had all of my favorite things all on one plate before! 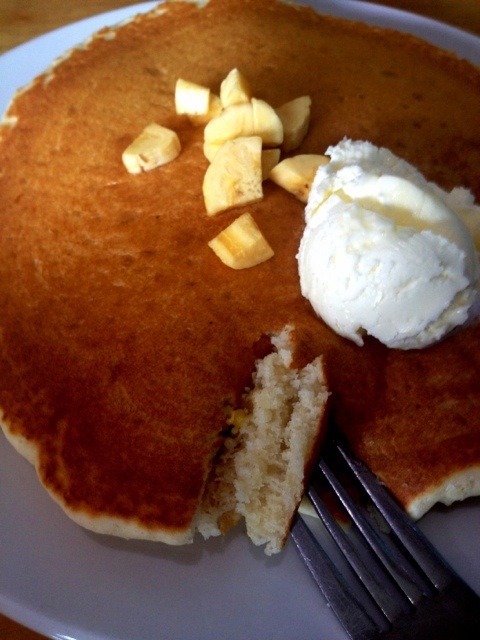 We also shared some banana pancakes ($7.25). These were light and moist. Bananas were sweet. Come early. It was packed by 9am on a Saturday with a long wait list. 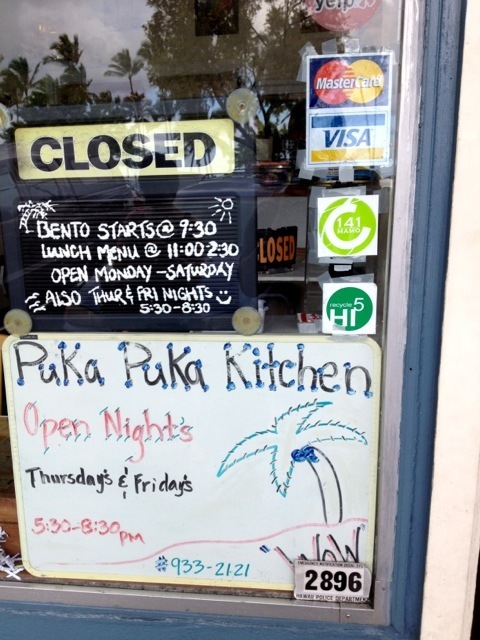 Brand new lunch shop on the corner of Kilauea and Lanikaula next to Subway. Very friendly family run place. 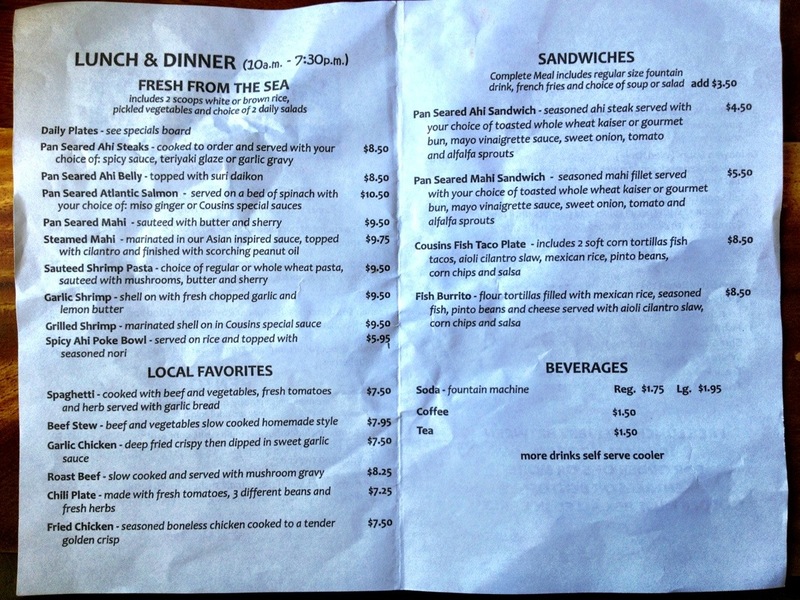 Menu looks great with focus on fresh home style local cooking. Pan seared ahi steaks with spicy sauce ($8.50). 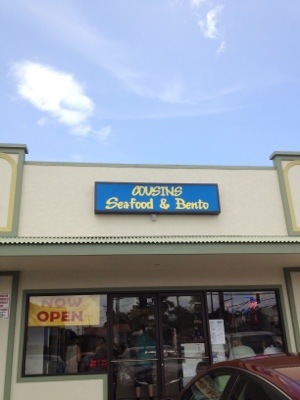 Really good and fresh fish and very generous portion. 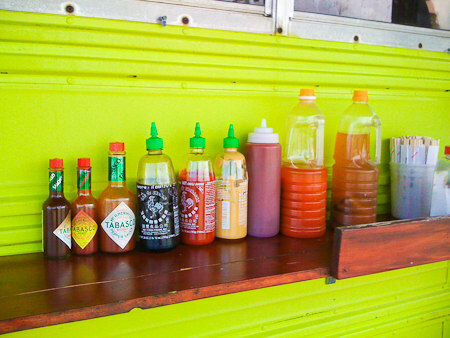 Great with their spicy sauce. 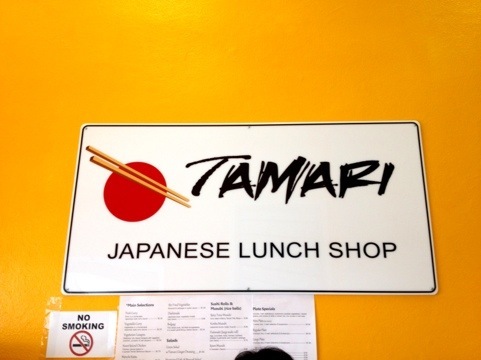 Loved their potato mac salad with spaghetti noodles. Next time I would request the ahi cooked on the rarer side. It was cooked all the way through… a bit dry but still good. 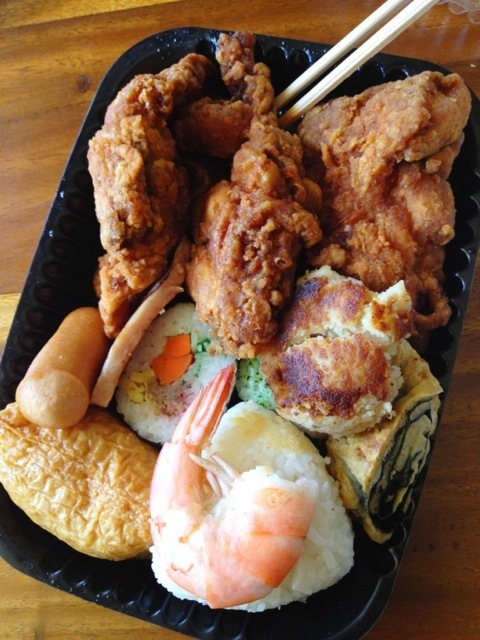 Large bento ($7.50). 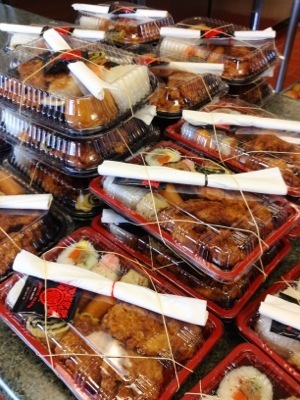 This was one big bento. The highlight was the garlic chicken. 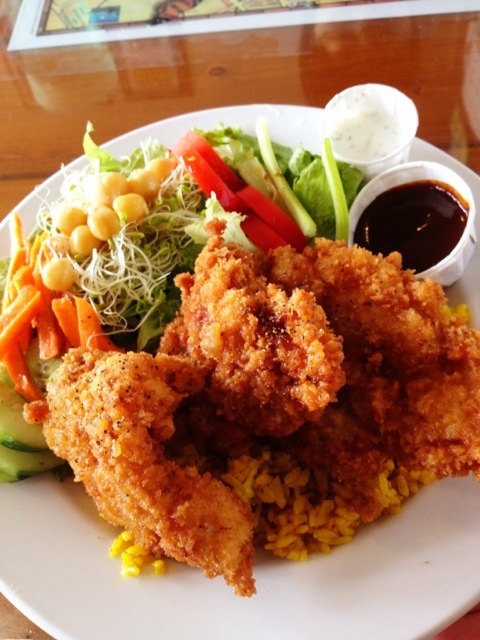 So ono! Lots of good sushi too. 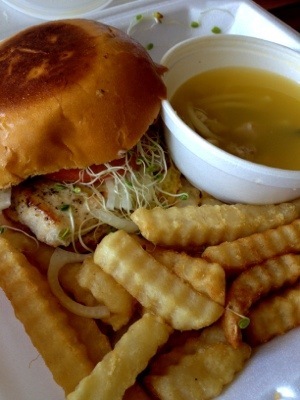 Mahi fish sandwich w/ fries and soup ($9.00). Yummy sandwich, just wish there was more fish! 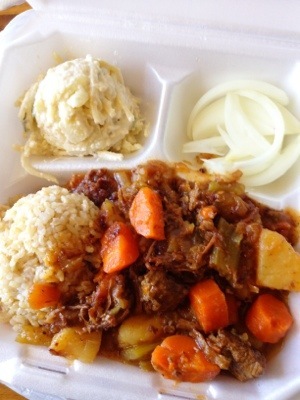 Good beef stew ($7.95). Tender meat and seasoned well. Loved that they gave pickled onions as an option on their plates. Nothing too special about the stew though. 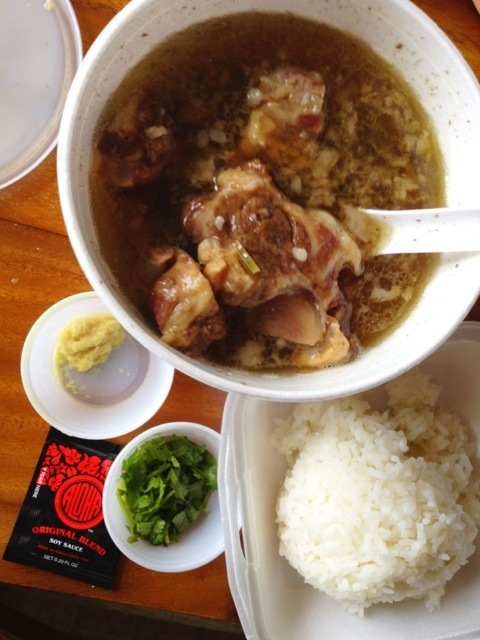 Oxtail soup ($10.95) on Fridays! 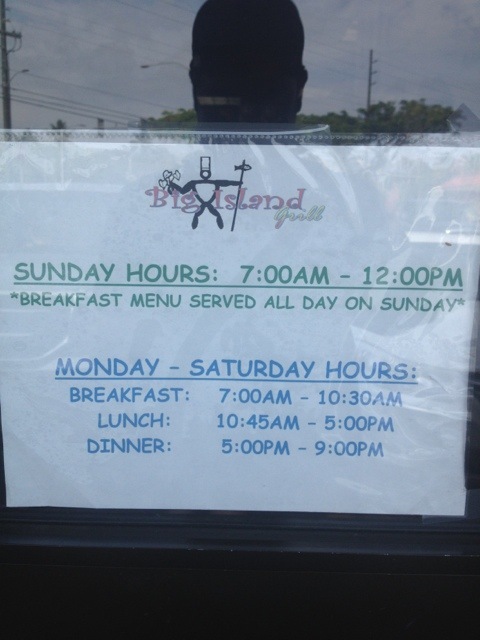 They have different soups on Mondays and Wednesdays too. I loved this soup. Nicely balanced broth. Not too salty. Would order this again. Could use a little more oxtail. 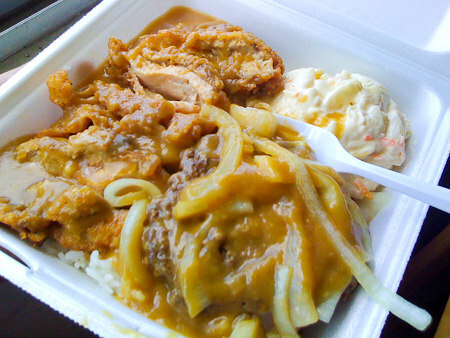 Garlic chicken ($7.50). 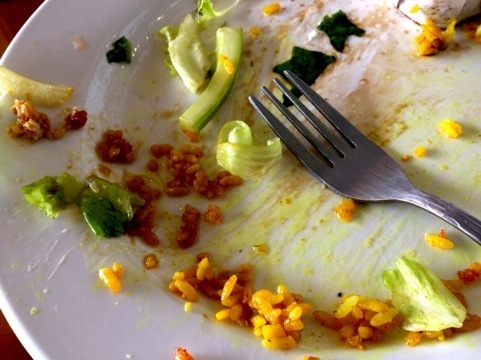 This plate was so amazing. It’s the same chicken in the bento but much better since it’s fresh! 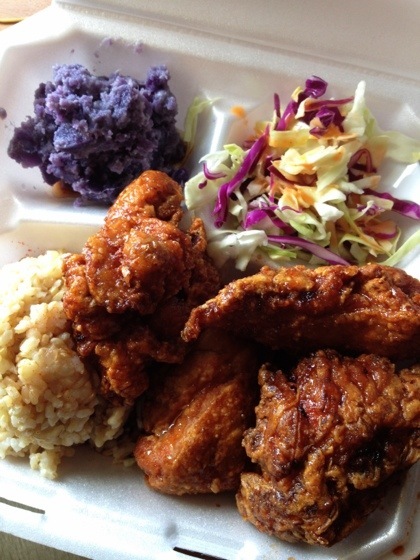 Four huge crispy pieces of chicken smothered on a sweet garlic sauce. On the side I got sweet potato salad and tossed greens. Could not finish this! Highly recommended. 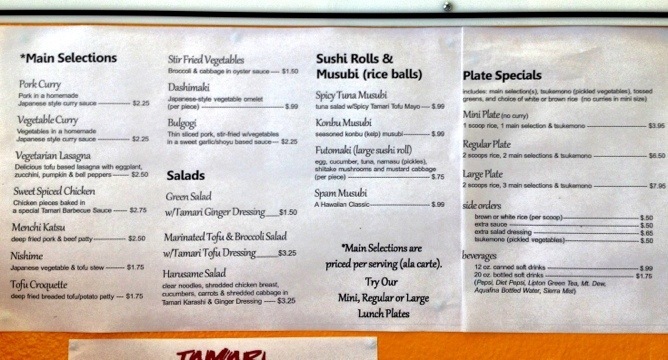 Great new little Japanese lunch shop in Downtown Hilo! 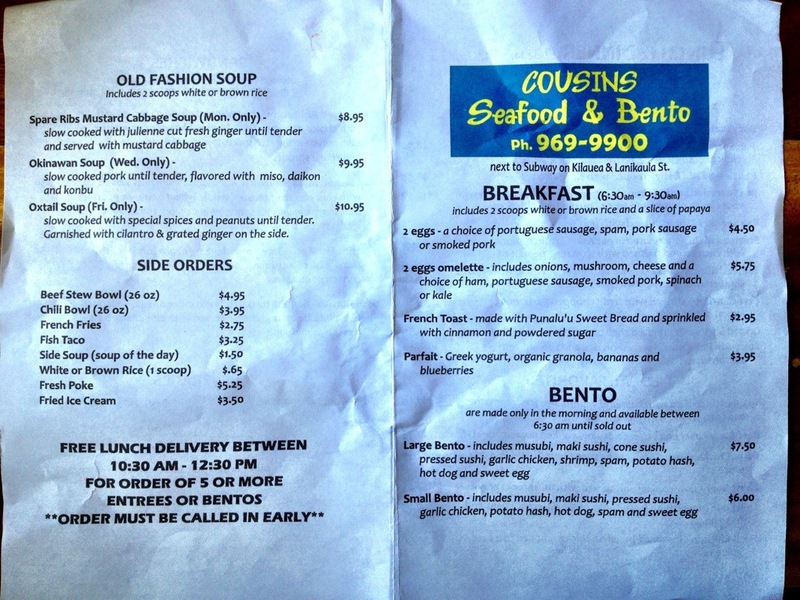 It’s really just a hole in the wall, but the quality of food was super yummy and prepared with love. 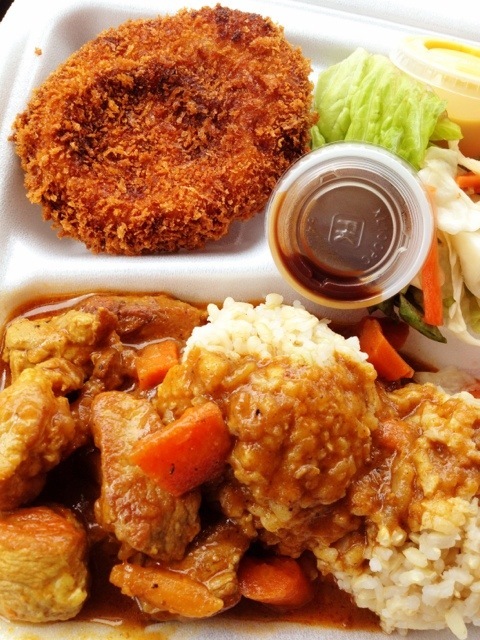 Pork curry, crisp tofu croquette, brown rice, and a fresh salad with really yummy miso dressing. ($6.50). I really loved the curry. It was rich and flavorful yet didn’t taste too oily. Pork was tender and juicy. It went perfectly with everything else. I was happy! 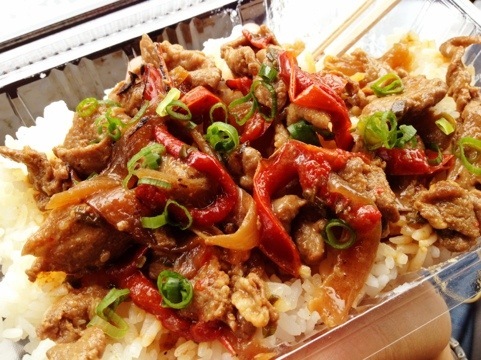 Bev had a small bento ($3.50) of beef bulgogi and rice. It was great! Bev said the rice was cooked perfectly too. 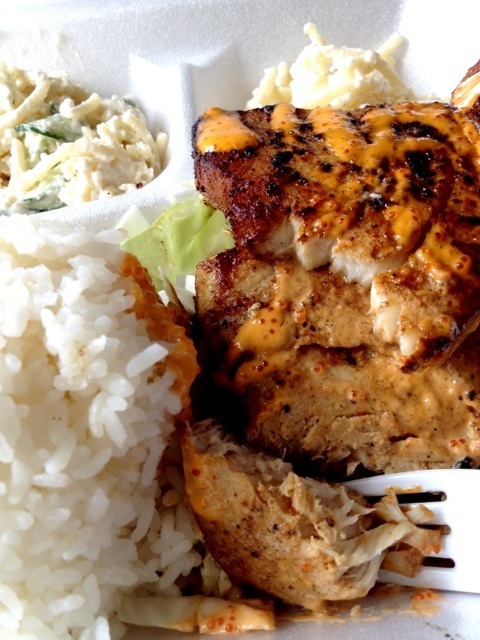 Hilo Farmers Market – Buy Local! Where else can you get all of this for around 20 bucks in Hawaii? 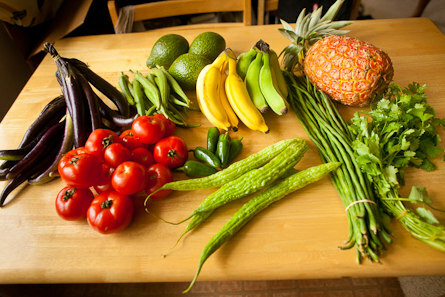 From top left, clockwise: eggplants, okra, avocados (so buttery), apple bananas (sweetest), white sugar loaf pineapple (like pure sugar), cilantro (super fragrant), long beans, bittermelon, jalapenos, and the most juicy ripe local tomatoes. 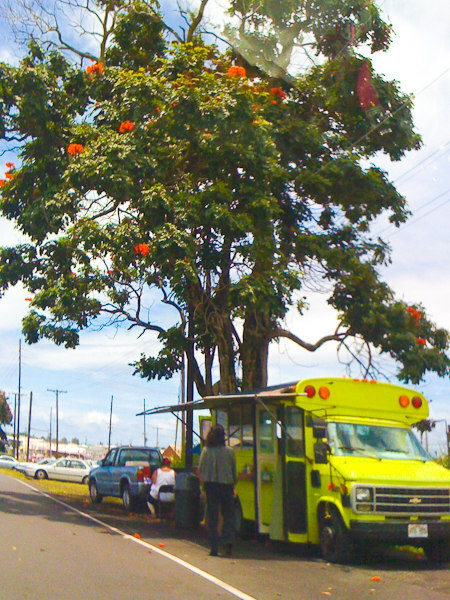 We go to the farmer’s market here in Hilo at least once a week to stock up on our produce with the tastiest organic fruits and vegetables ever, grown locally. So much cheaper and better than the stuff shipped in… why buy anywhere else? I find it crazy when I go to a restaurant here and find a tastless rock hard tomato on my burger or salad. We live in such a fertile place with cheap produce. Buy local!